Heat coconut oil in a large pot or wok over medium-high heat; add in your cardamom and mustard seeds until the spices begin to pop. Once popping add the curry leaves, dried chili, onion, garlic and ginger. Sauté for five minutes until things begin to get nice and fragrant and the onion develops a good golden colour. To the pot or wok add hake stirring amongst the spices. Combine the roasted and ground spice mix and add to the pot. Cook again until fragrant. Stir in the coconut milk and chopped tomatoes, cover and simmer for a few minutes, being careful not to overcook the fish. Season with sea salt to your taste. 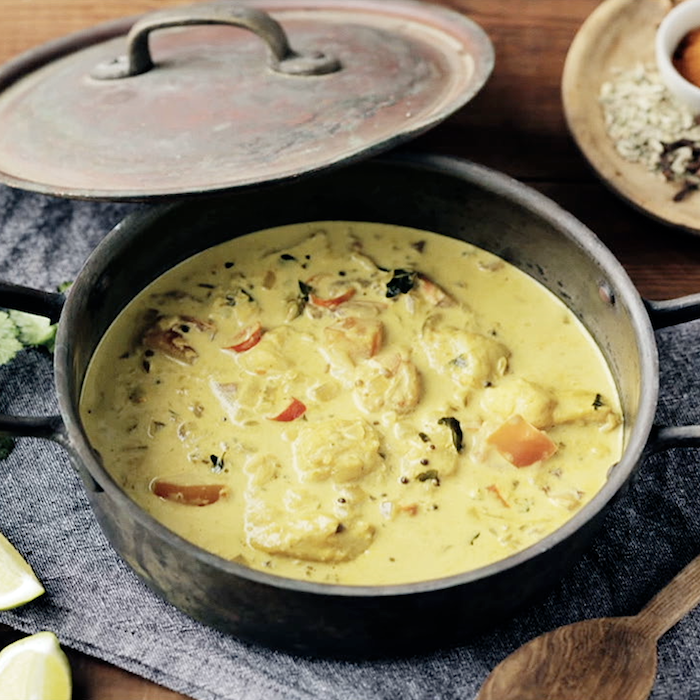 Serve in a large bowl garnished with coriander and lime wedges and accompanied by steamed rice and Indian breads.